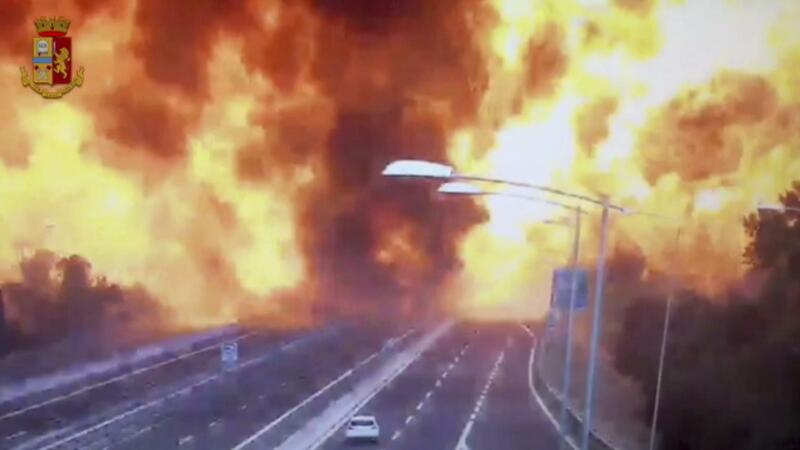 Mon., Aug. 6, 2018, 11:45 a.m.
MILAN – A tanker truck carrying flammable material exploded Monday after rear-ending a stopped truck on a crowded highway near the northern Italian city of Bologna, killing at least two people, injuring up to 70 and causing part of the raised expressway to collapse. A woman living .6 miles from the blast site said many residents had to leave due to the black smoke. Published: Aug. 6, 2018, 11:45 a.m.